Abstract: The events of the transition from the Western Jin (265-316) to Eastern Jin dynasties (317-420) at the turn of the fourth century affected not only the people and history of that era, but also the development of China and Chinese culture today. The uneasy state of mind of the Western Jin (265-316) literati at the start of the fourth century in China grew out of a very tangible fear of the imminent demise of the ancient civilization with which they identified. Although the Jin would survive the internecine warfare and ethnic rebellions, the successors of the Western Jin would be forever affected by the revolutionary events of the turn of the fourth century. This era, with its political chaos and ethnic rebellions, and particularly with the fall of Luoyang into the non-Chinese Xiongnu hands in 311, marked the end of an era not only for the literati and aristocracy of the Jin, but also for the people of the Central States. The change in location forced the people of the Central States to question the future of their civilization and their own identities, and to seek ways to maintain their ties to their homes through creative means. The literature that remains from this period of transition tells the story of the literati’s struggle to make sense of the shocking events that heralded the end of the Western Jin and their consequent attempt to set order to the chaos and regain control of their world. While the state fought to survive the events, the individuals caught between warring factions and ethnic rebellions recorded their fears and hopes in public and private poems, fu rhapsodies, letters, travelogues, and memorials. Throughout their literature, the history of their civilization was foremost in their minds, as was geography and the significance placed on location. 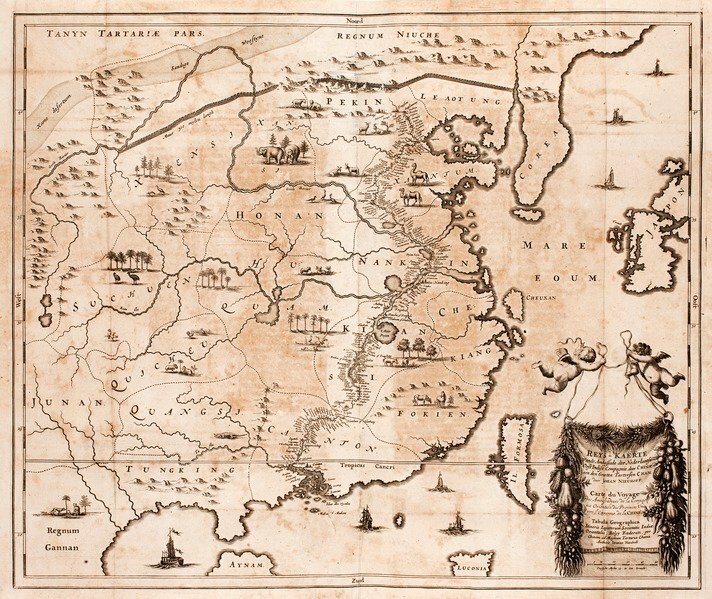 Their individual and shared cultural memories and their interpretations of history heavily influenced their literature and the reformation of the Eastern Jin (317-420) state in the south. This article briefly examine fu rhapsodies written by two fourth-century refugees and discusses how these survivors represented themselves, their experiences, as well as the history of their civilization through the fu in an attempt to preserve their civilization and to recreate a new state in the south. Introduction: With the sacking of the capital city of Luoyang in 311 came the realization that for the first time in the long history of the Central States that the people of the Yellow River Valley had lost control of their homeland to ethnically and culturally divergent rebels. The Jin literati, successors of already nearly 1,000 years of recorded history, were forced to abandon their traditional homeland and the cradle of their civilization along the Yellow River Valley for the unfamiliar and somewhat exotic territory in southern China. By deserting their homes in the Yellow River Valley, they left behind territory that they viewed as sacred. This sacred territory, as the origin of their civilization, was intimately tied to their history and their identities. The incursion from the Xiongnu into their homeland, which forced the literati to leave their homes, created a crisis of identity for the Jin loyalists that was rooted in location. Suddenly, their physical connection to their homeland and to the history of that land was broken. This move forced the refugees to look at the land, the history of their civilization and their connection to it through new eyes. From this new perspective, they were forced to redefine who they were as a community, and as individuals within that community. The exodus from the heartland reminded them repeatedly of everything they were losing, and made them cling all the more desperately to their memories and cultural traditions.